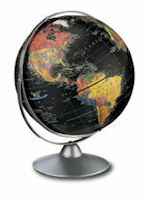 Replogle Globes is the world's largest globe manufacturer. From handcrafted masterpieces in the offices of presidents and dignitaries, to exquisite one-of-a-kind pieces as seen in many Hollywood productions, to the detailed and unique globes in your home, and to classroom models that help students understand their world, Replogle Globes belief in the world globe as a source of wonder hasn't changed since their humble beginnings in 1930. Imagine Home, Life, Work is the theme of our Replogle Globes Catalog for good reason. This new edition catalog is designed to help stimulate the imagination through pictures ? pictures that depict the use of Replogle globes in an endless number of ways. Globes are teachers, reference pieces, children?s nightlights, decorative accessories, travel guides, and they are the most accurate physical representation of our planet. 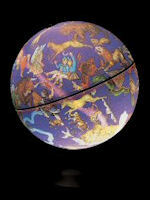 Globes adorn bedrooms, living rooms, studies, dens, libraries, offices, hotel lobbies, boardrooms and airports ? just to name a few. 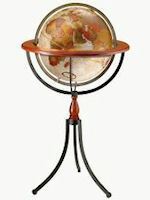 Replogle offers many illuminated globe models and raised relief globes. 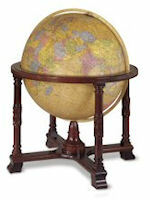 We want everyone to imagine globes from Replogle Globes as a part of everyday Home, Life and Work. 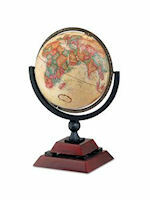 Replogle Globes is the world?s leading manufacturer of fine decorative globes and globes for geography. We are proud to say since 1930 Replogle has introduced the world into millions of homes, schools and offices, and remain dedicated to the credo ?A Globe in Every Home.? In an ever changing world, our products continue to evolve with the help of our dedicated dealers and loyal customers. Pianki is pleased to offer these fine decorative world globes to our customers as another choice for home decor or corporate gifts. Whether you buy floor globes, large globes, a desk globe or a big globe, choosing to buy globes by Replogle is an wise choice. 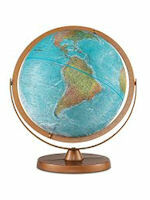 Buy world globes from Pianki, an authorized dealer, to get the best service and support.